Color Lehmitz takes us into the intimate creative process of Swedish photographer Anders Petersen (Stockholm, 1944): his notes on the contact sheets from Café Lehmitz, a bar in Hamburg’s red-light district, which captivated the artist and lead him to elaborate a project that eventually brought him greater recognition. Petersen closely portrayed the atmosphere of that extravagant place. It was there where, for the first time, he showed the 350 photographs that make up this body of work, produced between 1967 and 1970, later included in the Café Lehmitz book, published in 1978. In 2017, Cabeza de chorlito—the independent publishing house created by Frédérique Bangerter and Alberto García-Alix—published Color Lehmitz. 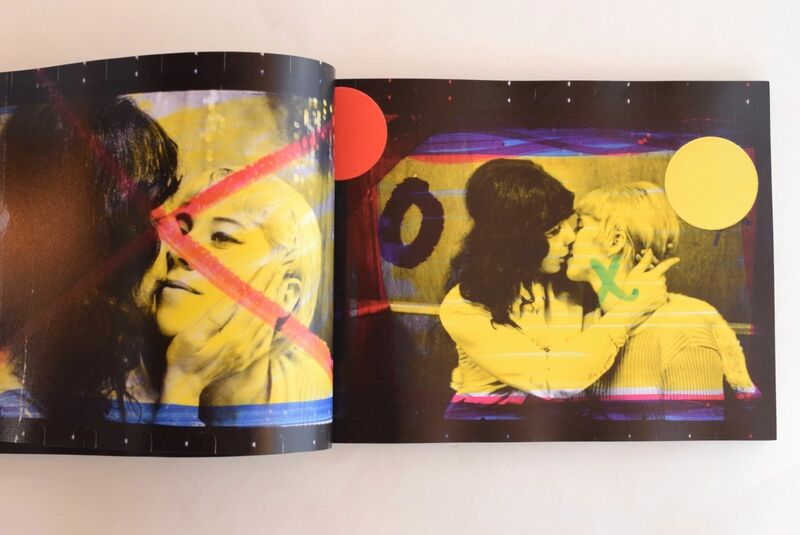 A book where the primary colours in the marks and signs that Petersen drew on his contact sheets remind us of Miró’s paintings and, at the same time, reinforce the exuberant energy of the bar dwellers: transvestites, prostitutes and drug-addicts, up until now only seen in black and white. This book allows us to reinterpret Petersen’s work under the prism of colour and the expressive strength of his gesture. It makes us an accomplice in his decisions; we feel his passion in the shape of coloured authenticity. Petersen’s images come to life and offer us a fascinating place from which to contemplate this scenario and its singular characters.